Whale trips are aimed at finding and swimming with the beautiful Humpback Whales. 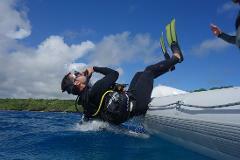 Trip can also include spinner dolphin encounters and some beautiful snorkelling on the reef if possible. 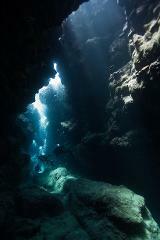 4 hour tour that is a must do in Niue. 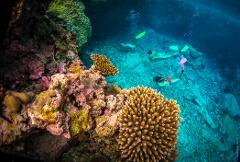 A snorkel trip on the best outer reef snorkel site in Niue, complete with coastal tour to learn some Niuean sites and history. We may also have an in-water encounter with the Spinner Dolphins if they are spotted on the tour. Whale watching from the boat, possible seeing breaching, spy hoping and other amazing behaviour. 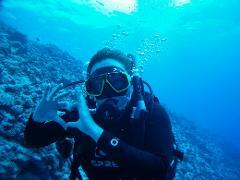 Trip can also include spinner dolphin encounters and some beautiful snorkelling on the reef if possible. 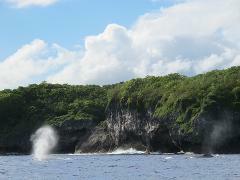 4 hour tour that is a must do in Niue. 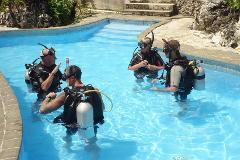 First step in becoming a certified scuba diver through a 3-day course including some theory revision and exams, pool sessions and 4 open water dives up to 18 metres deep. Minimum age of 10 years old. 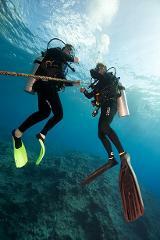 The next step in your dive education after the open water course. 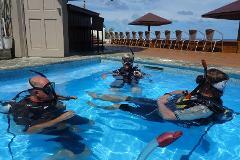 No matter what your goal is in diving, the advanced course gives you the confidence, skills and experience for a whole new level of underwater with dives up to 30 metres. We run 1 hour lessons for those that have never tried before or want more practice where the Instructor will take your through safe and proper practices. 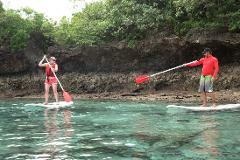 Bookings are at low tide only, must be confirmed before confirmation.